Future VR headsets won’t require the range of cords and connectors in use by today’s flagship devices. A consortium of companies including AMD, Microsoft, Valve, Oculus and Nvidia recently introduced the VirtualLink specification which uses a single, high-bandwidth USB Type-C connector. 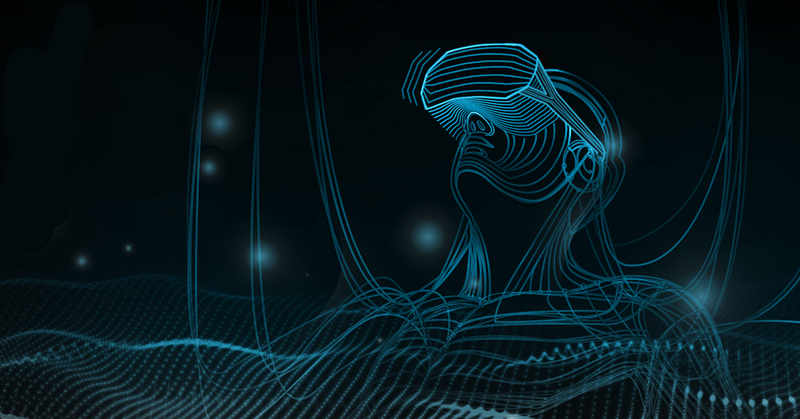 VirtualLink connects with VR headsets to simultaneously deliver four high-speed HBR3 DisplayPort lanes, a USB3.1 data channel for supporting high-resolution cameras and sensors and up to 27 watts of power. It’s purpose-built for VR, optimized for the latency and bandwidth demands of next generation VR experiences. The group says the new connection, an Alternate Mode of USB-C, will simplify and speed up VR setup time. It’ll also bring immersive VR to smaller devices such as thin and light notebooks, devices that aren’t necessarily readily compatible with high-end VR headsets because they lack the necessary number of ports. The consortium has published an advance overview of the VirtualLink specification, available for anyone to take a look at over on VirtualLink’s website. Details on the upcoming VirtualLink 1.0 specification are upcoming, we’re told, although a timeline for its launch wasn’t provided. VR is still hanging around, eh? Err, seems like a waste of time. Being tethered is such a immersion killer all effort should be focused on getting rid of cables. Sure one is better than multiple, but zero would be best. Hate to be a nay-sayer but that is just the way it is. Given that the number of HMD manufacturers are increasing and that big budget VR games are being made (Respawn is making a VR shooter for example), it's only getting better. It has allot of hurdles to clear but it is improving. VR is fun. It may not be where ppl want it to be but cant deny it's fun. Oculus still sells well. The Go isn't as good but it's portable and much better than what any phone can currently do. It's selling well though. With stores like Best Buy having demos, Oculus is showing them off once again. Meaning you can actually play with them again, been awhile but Oculus is finally bringing people in to show them off. Most of the time they are being shown off on weekends. From a Oculus Rep, the Go will basically be incorporated with the Oculus in about a year or 2. Meaning the Oculus will be cable free, wireless. If that holds true then that will be very cool. VR isn't a gimmick like it was in the 90s. It's going to fly under the radar for a few more years then explode once the devices become more manageable, both physically and economically. The future isn't 8k desktop monitors with 144hz refresh rates. It's a VR interface that works as seamlessly as the shades everyone wears to the beach. What happens if you connect two USB downstream ports with a USB male to USB male cable?